If you do not have a writing software program such as Scrivener, you will enjoy learning about the Document Map feature in Microsoft Word. With this feature, you can navigate your manuscript or other long document with ease. Matthew MacNish and the Middle Grade Group at Project Mayhem has a terrific tutorial on how to use this feature. They have graciously agreed to let me share it with you. Thanks team! Matt used Microsoft Word 2007 to demonstrate this feature. 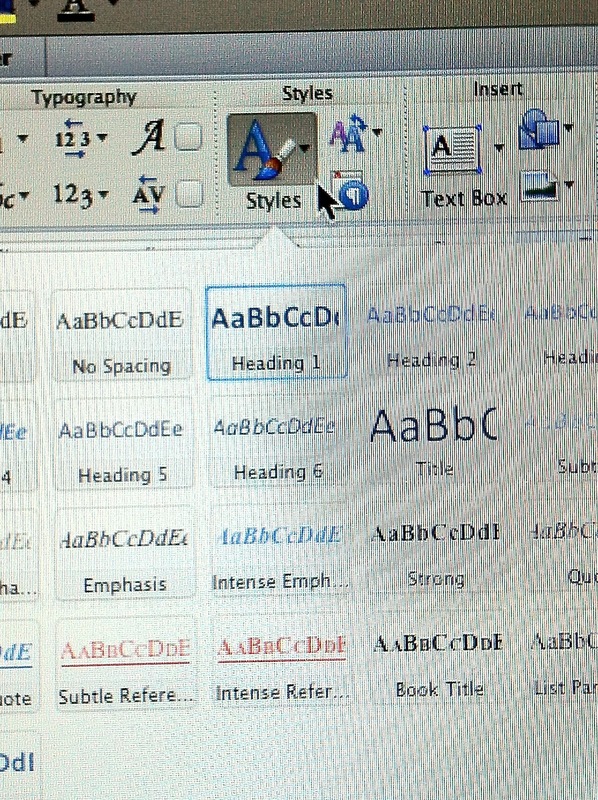 I have included snap shots of the MAC version of MS Word 2011 for those using MAC’s, as the layout is slightly different. 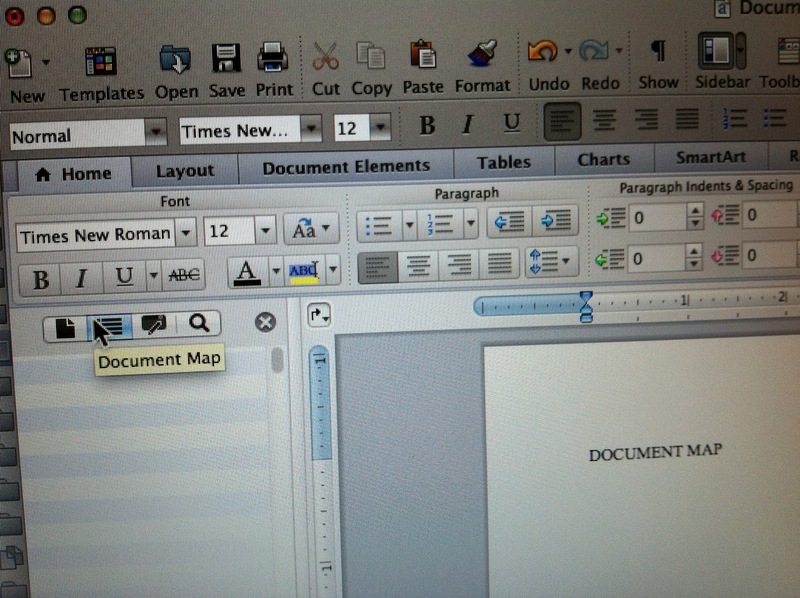 Document Map has been a part of MS Word since 2003. Should you have a version prior to 2007, you can find information online at MS Office Support. 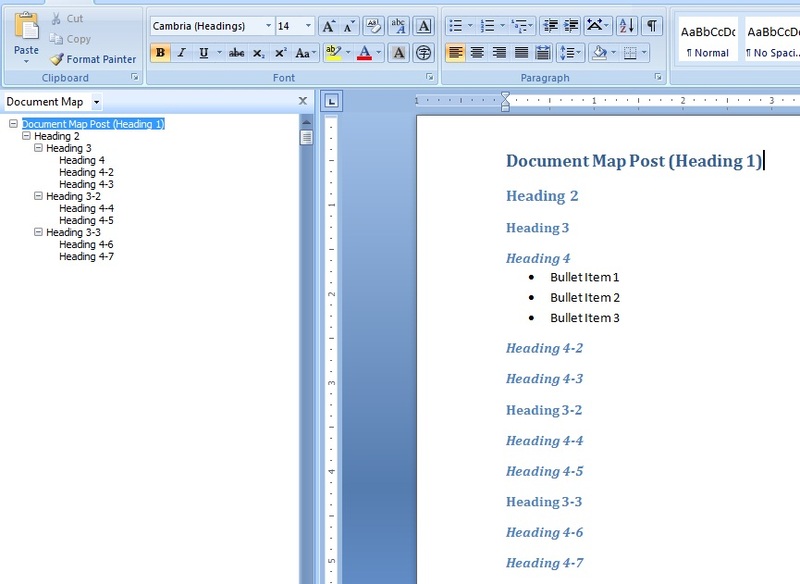 In WORD, click on the VIEW tab, select Print Layout and check Document Map. For MAC users, it will be found on the sidebar. Icons are used instead of text. To create your first heading (Title), go back to the HOME tab and select STYLE. Type your TITLE/HEADING and click Heading 1. You may want to change the default font. The easiest way to edit color or font in Styles is by modifying them at the same time. On MAC, look for the Icon in the STYLE box. 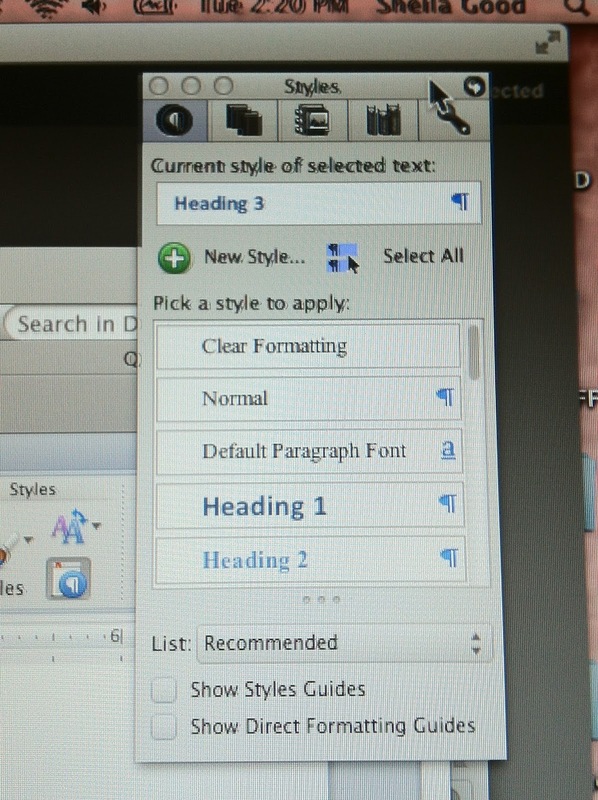 In the Modify box, select the heading you want to modify, select all and click New Style. A box will come up where you can adjust font, text and format. If you want more information check out Project Mayhem or Iain Broome’s tutorials. 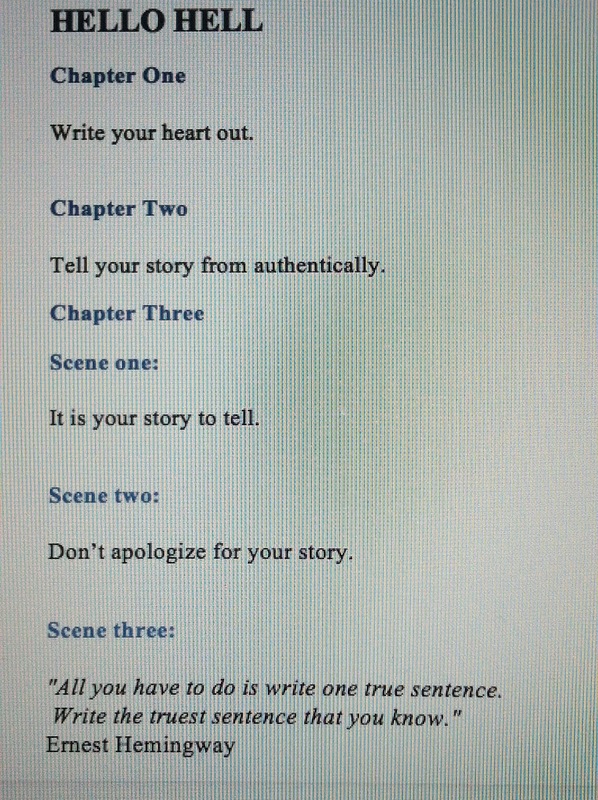 I love this because I am trying to write my first book but I am not using any special writing program. I am still not sure how you create the subheadings but I like how you can jump to each chapter. Would you recommend a writing/software program? I know they aren’t necessary because authors have been using typewriters since forever. But do they help? What a great question! 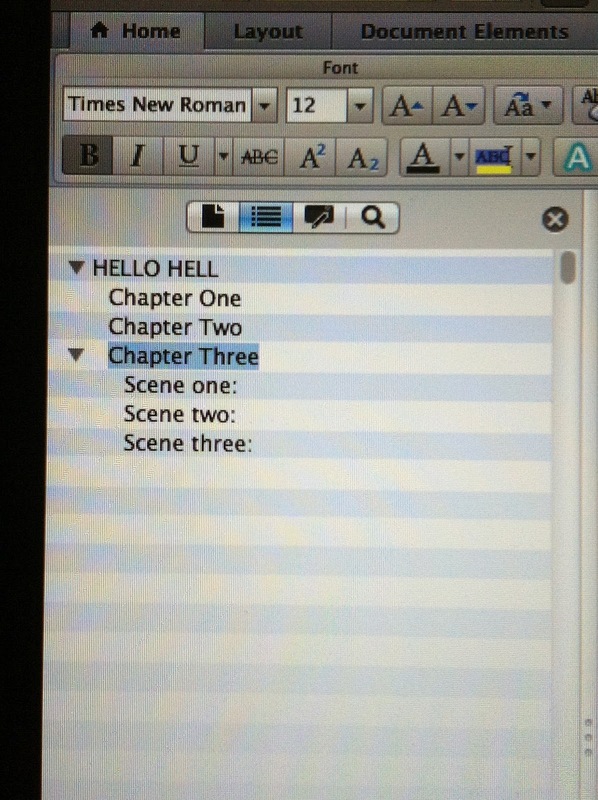 I have to recommend Scrivener, hands down. You can outline or use index cards. It organizes your current work in progress or multiple projects. Here’s the link: https://www.literatureandlatte.com/scrivener.php. Best of luck to you. Let me know what you think. Thanks for stopping try the Cow Pasture. Pingback: After years of hiding my words from the world, I have found my voice | What Inspires Your Writing?